This is a woman only screening. Glasgow Feminist Arts Festival Gala Screening offers a double bill of F-rated UK Premieres: short film The Legend of Ruby Pasha and feature My Favourite Fabric. 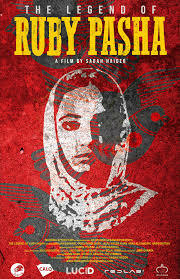 Both films playfully challenge preconceptions about women’s lives and identities in Arab and Pakistani cultures.